PDKI.org is also a good source of east kurdistan news. this Shafagh seems to be pro-iraqi government, just because it has a kurdish section it doesnt mean it is pro-kurdish, dont you think? yes they stopped due to financial issues. They say they might be back, but it is not known. 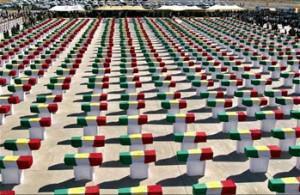 Netkurd piştî 8 salan, ji ber pirsgirêkên aborî û rêvebiriyê, ji îro (1-ê novemberê 2012) pê ve weşana xwe ji bo demeke nediyar radiwestîne. Mihaweleyên reorganîzekirinê û peydakirina îmkanên maddî tên meşandin.Ger encameke pozîtîf ji mihaweleyan derkeve Netkurd ê karibe cardin vegere xizmeta xwe ya weşana ji bo rayagiştî ya kurdî. No I don't. If you go onto history and news, you will see most of it is basedon Kurdistan, but considering it's a news station located in Iraq. Actually fairly neutral, but could you enlighten me on how it is "pro Iraqi". I still don't understand why you haven't put Shafaaq, but whatever it is your forum. Apparently you think it is "pro-Iraqi" even though you never looked at the site. Just go onto history, most of it is onKurdish history. jjmuneer wrote: I still don't understand why you haven't put Shafaaq, but whatever it is your forum. Apparently you think it is "pro-Iraqi" even though you never looked at the site. Just go onto history, most of it is onKurdish history. so I dont have to do eveyrthing myself. I'm using google news and then as search term: "Kurdish". my only friends are the mountains and we bow to nobody !